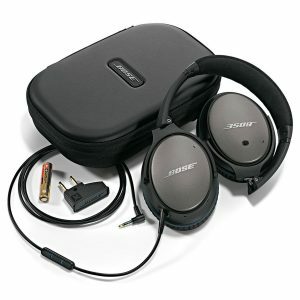 $100 Off Bose QC25s – Black Friday Sale!!! I may receive compensation if you sign up for the offer(s) below. You are of course free to sign up for these offers outside of these links provided but you help support the blog by using them. As always, your support is greatly appreciated! There is one single piece of tech that I refuse to board a plane without and those are my Bose noise canceling headphones. I currently rock the QC35 because I made a bonehead play and accidentally left my QC25s in a rental vehicle as I was rushing to catch a flight. My QC25s were a present to myself and I paid full retail for them at the time ($299 at the time I believe) and while I thought that it was a bit on the expensive side, once I got them, I asked myself why I waited so long. I did a TON of research before I pulled the trigger on the QC25s and found that throughout my research, they were always ranked better than other ANC (active noise canceling) headphones, including those from Sony or Sennheiser. There are a ton of reviews online but trust me, you CANNOT go wrong with these headphones. If you’re in doubt, you can Google which headphones airline pilots use. The ANC on these headphones is a bit shocking when you first try them on the plane, meaning you can’t believe how quiet everything becomes. It doesn’t get rid of 100% of the background noise but when you combine it with music, you really feel emersed in the music and totally forget about the noise from the plane. Truly, if you close your eyes it will really feel like you are at a concert. One thing I noticed when I first got the headphones is that they don’t get as loud as other headphones I have had and I was a bit concerned about it at first but when I got these babies on a plane, I understood why they didn’t get that loud … it’s because the ANC is so good that you rarely ever have to crank up the volume. The other thing that I loved about my QC25s is that they are insanely comfortable. I am very particular when it comes to how headphones feel on my head and normally I am an in-ear headphone guy because I hate how over-the-ear headphones feel after a while. Normally I have to worry about the headphones leaving my ears achy or sweaty but I can confirm that the QC25s are not that way at all. They are incredibly comfortable and I have fallen asleep with them on many times. There’s also an air of coolness that comes with owning these headphones. Glance around your Business Class or First Class cabin and you will see many of your fellow road warriors using the same headphones. The reason? They work. The only real difference between the QC25s and QC35s is that the QC35s have Bluetooth to connect wirelessly to your phone. 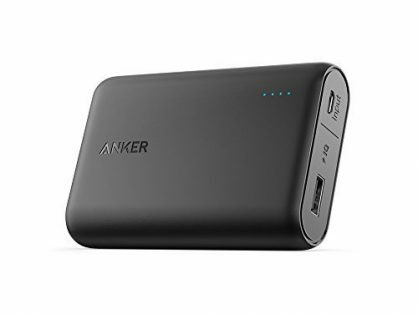 Now don’t get me wrong, it’s nice to not have to deal with wires but that only works when you are connected to a Bluetooth transmitting device such as your phone. On a plane, you still have to use the included wire to connect into the in-flight entertainment so really, it’s not much of a benefit when you are using them for a flight. I have had both headphones and to be honest, I wished I had gone back to the QC25s when I had to replace my lost pair. The QC35s are a great set of headphones but it’s hard to justify the additional $100. Amazon.ca is continuing it’s Black Friday sale and the Bose QC25s which are normally $329 are on sale for $229, a whopping 30% off! I expect thee to be a run on these headphones at this price, so if you’ve ever been in the market for Active Noise Canceling Headphone, the time to act is now! By the way, wanted to say Thank you for this post. I had a flight to London coming up at the end of November, and literally 2 days before I was scheduled to leave, I saw your post. At the same time Best Buy ended up running the Black Friday sale, and QC25s were 229 CAD, same as on Amazon, so I got me a pair. They made a huge difference. Until now I travelled with Senheiser Momentums, which are great head phones for listening to music. 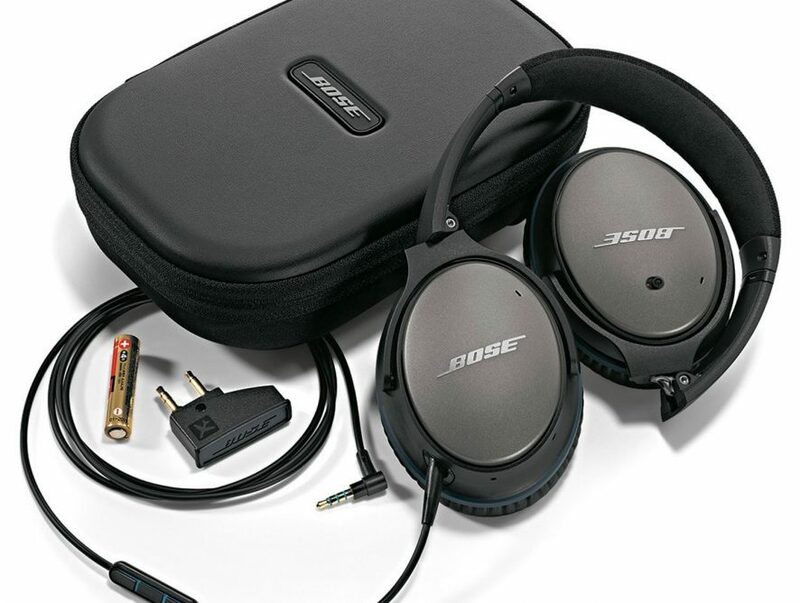 But Bose active noise cancelling made a flight in coach (work is cheap, so they don’t fly me in business) with a flock of screaming kids bearable. On the way back I got to enjoy two Japanese movies (Usually a pain on a plane, since I want to hear what’s being said, instead of reading the subtitles, and usually ambient plane noise makes it very difficult). I feel that Senheisers are better reference headphones for listening to classical music or high quality classic rock from 24 bit sources on an Hi Def audio device, but for noisy environment and mp3s, Bose is great. Thank you for your suggestion, I feel that the headphones have already paid for themselves during the trip, and during visits to some very noisy data centers there. Thanks for your thoughts on the headphones! I feel the same way about them and never travel without them. I will have an upcoming review on how noisy planes are with quantitative analysis. Interestingly enough, the A350 that I traveled on almost eliminated the need for Active Noise Cancellation … almost. Thanks again for your contribution!